Dr Emami is a Clinician-Scientist, with postgraduate professional training in Prosthodontics (MSc, Université de Montréal), research training in Biomedical Science (PhD, joint program McGill University & Université de Montréal), Dental Public Health (Postdoctoral fellowship, McGill University), and Cancer Epidemiology (Postdoctoral fellowship, Environmental Epidemiology and Population Health research group, Université de Montréal). Dr Emami is a full professor and Dean of the Faculty of Dentistry at McGill. She sits on a number of executive committees for research at the national and international level. Dr Emami has been the recipient of various prestigious awards such as the CIHR Clinician-Scientist award. 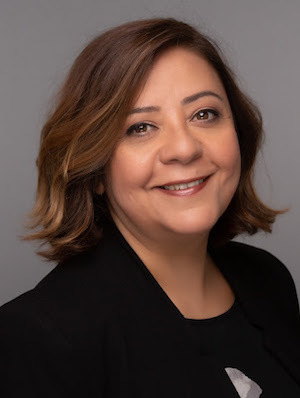 Her research program entitled “Fostering Oral Health Through Interdisciplinary Research: Intervention, Access and Impact” has been acknowledged by the Canadian Institutes of Health Research and is supported by Canadian and Quebec governmental grants, as well as industry. Intervention: Clinical trials conducted under this theme test the effectiveness of prosthodontic interventions in edentate individuals. Access: This theme focuses on rural and remote populations and uses mixed methods and participatory action research to broaden understanding of the social and spatial pathways of oral health disparities, and to develop innovative strategies and interventions targeting oral health prevention and promotion of these communities. Impact: Epidemiological studies to provide causal explanations on the role of oral health in general health. To conduct this research program, Dr Emami has adopted an integrated knowledge translation approach by building partnerships with an inter-disciplinary team of researchers, health care and oral health care providers, key community stakeholders and policy-makers. *Tikhonova S, Booij L, D'Souza V, Siqueira W, Emami E. Investigating the association between stress, saliva and dental caries: a scoping review. BMC Oral Health, 2018 Mar 13;18(1):41. doi: 10.1186/s12903-018-0500-z. *Harnagea H, Lamothe L, Esfandiari S, Charbonneau A, Couturier Y, Emami E. From theoretical concepts to policies and applied programmes: The landscape of integration of oral health in primary care. BMC Oral Health, 2018 Feb 15;18(1):23. doi: 10.1186/s12903-018-0484-8. Afrashtehfar KI, *Del Monte S, Emami E, M, Abi-Nader S, Tamimi F. Lay preferences on dentogingival esthetic parameters: A systematic review. J Prosthet Dent. 2017 Dec;118(6):717-724. doi: 10.1016/j.prosdent.2017.04.032. Epub 2017 Sep 1. *Harnagea, H., Couturier, Y, Richa Shrivastava, Felix Girard, Lise Lamothe, Emami, E. Barriers and facilitators in the integration of oral health into primary care: a scoping review. BMJ Open. 2017 Sep 25;7(9): e016078.doi: 10.1136/bmjopen-2017-016078. Emami E, *Kadoch N, Homayounfar S, *Harnagea H, Dupont P, Giraudeau N, Mariño R. Patient Satisfaction with e-Oral Health Care in Rural and Remote Settings: A Systematic Review Protocol. Systematic Review, 2017 Aug 29;6(1):174. doi: 10.1186/s13643-017-0550-3. Kuate Defo B; Mbanya JC; Tardif JC; Ekundayo O; Perreault S; Potvin L; Côté R; Dzudie A; Choukem SP; Assah F; Cloutier L; Richard L; Tanya A; Frohlich K; Saji J; Kingue S; Nsagha DS; Ridde V; Dubé MP; De Denus S; Mbacham W; Lafrance JP; Sobngwi E; Mampuya W; Kengne AP; Fournier P; Da Silva RB; Emami E et al. Diagnosis, prevalence, awareness, treatment, prevention and control of hypertension in Cameroon: Protocol for a systematic review and meta-analysis of clinic-based and community-based studies. JMIR Res Protoc. 2017 May 29;6(5):e102. De Souza RF, Khiyani MF, Chaves CAL, Feine JS, Barbeau J, Fuentes R, Borie E, Crizostomo LC, Silva-Lovato C, Rompre P, Emami E. Improving practice guidelines for the treatment of denture-related stomatitis: A study protocol for a randomized controlled trial. Trials. 2017 May 5;18(1):211. *Cerutti-Kopplin DC, Emami E, Hilgert JB, Hugo FN, Rivaldo E, Padilha DM. Predictors of satisfaction with dentures in a cohort of individuals wearing old dentures: Functional quality or patient-reported measures? Journal of Prosthodontics. 2017 Apr;26(3):196-200. doi: 10.1111/jopr.12383. Epub 2015 Oct 23. Emami E, *Nguyen HP, Rompré P, Lavigne GJ, Huynh NT. The effect of nocturnal wear of dentures on the sleep quality: a systematic review and meta-analysis. Sleep Breath. 2017 Mar;21(1):9-18. doi: 10.1007/s11325-016-1369-1. Epub 2016 Jun 25. Emami E, Gosselin N, Rainville P, Durand R. Culturally adapted musical intervention for patient-centered health care. J Can Dent Assoc.2017;84:h13. Nicolau B, Castonguay G, Levine A, Nha Hong Q, Pluye P, Afrashtehfar KI, Al-Sahan M, Amin M, Benbow P, DE Oliveira A.C.B, Brondani M, de Oliveira RC, Caty MÈ, Chang A, Dawson A, Emami E, et al. Applied Mixed Methods in Oral Health Research: Relevance and Outcomes of a Training Program. JDR Clinical and Translational Research. 2017;2(3):206-210. Emami E, *Cerutti-Kopplin D, Alesawy A, Kodama N, Durand R, Rompré P, de Grandmont P. Does immediate loading affect outcomes of mandibular unsplinted-implant overdenture? A 2-year within-case analysis. J Dent. 2016 Jul;50:30-6. doi: 10.1016/j.jdent.2016.04.009. *Idrissi-Janati A, Durand R, Karp I, Voyer R, Latulippe J-F, Emami E. Association entre les affections buccodentaires et le cancer colorectal. Revue d'Epidémiologie et de Santé Publique. 2016; 64(2),113-119. doi: 10.1016/j.respe.2015.11.008. *Chalhoub E, Emami E, *Freijé M, Kandelman D, Campese M, St-Georges A, Voyer R, Rompré P, Barbeau J, Leduc A, Durand R. Effectiveness of an alcohol-free essential oil-containing mouth rinse in institutionalized elders receiving palliative care: A feasibility study. Gerodontology. 2016 Mar ;33(1):69-78. doi:10.1111/ger.12119. Emami E, *Khiyani F, Habra C, Chassé V, Rompré P. Mapping Quebec dental workforce: Ranking rural oral health. Journal of Rural and Remote Health 2016 Jan-Mar; 16(1):3630. Epub 2016 Jan 27. *Beaudin A, Emami E, Palumbo M, Tran S. Quality of Supervision: Postgraduate Dental Research Trainees’ Perspectives. European Journal of Dental Education. 2016 Feb;20(1):32-8. doi: 10.1111/eje.12137. Epub 2015 Jan 6. *Sharifian N, Bedos C, El-Murr IJ, Charbonneau A, Emami E. Dental students’perspectives in regard to rural dental practice: A qualitative study. The Journal of the Canadian Dental Association. 2016;3(1), 31-32. *Menassa M, de Grandmont P, *Audy N, Durand R, Rompré P.H, Emami E. Patients’ Expectations, Satisfaction and Quality of Life with Immediate Loading Protocol. Clinical Oral Implant Research. 2016 Jan;27(1):83-9. *Cerutti-Kopplin DC, Emami E, Hilgert J, Hugo FN, Padilha DM. Cognitive status of edentate elders wearing complete denture: Does quality of denture matter? Journal of Dentistry. 2015 Jul 15. pii: S0300-5712(15)30015-4. doi: 10.1016/j.jdent.2015.07.008. Epub 2015 Jul 15. Emami E, *Tikhonova S, Loten G, Booij L. Interdisciplinary approach to caries disparity: a workshop summary. Journal of Canadian Dental Association. 2015 May;81:f9. Emami E. The Integration of Oral Health in Primary Care: Interdisciplinary Research Initiative. Mosaic, Canadian Association of Public Health Dentistry. Spring 2015, issue 7. *Al Subaie A, Eimar H, Abdallah M-N, Durand R, Feine J, Tamimi F, Emami E. Anti-VEGFs hinder bone healing and implant osseointegration in rat tibiae. J Clin Periodontol. 2015; 42: 688–696. Emami E, de Souza RF, Bernier J, Rompré P, Feine JS. Patient perceptions of the mandibular three-implant overdenture: a practice-based study. Clinical Oral Implants Research. 2015 Jun;26(6):639-43. doi: 10.1111/clr.12351. Epub 2014 Feb 19. Emami E. Rural/Remote Communities are under-served and limited in accessing dentists- Why? A Newsletter of The Canadian Rural Health Research Society. Volume 9, Issue 1, Novembre-Decembre 2014. Emami E, *Michaud PL, *Sallaleh I, Feine JS. Implant-assisted complete prostheses. Periodontology 2000. 2014 Oct;66(1):119-31. doi: 10.1111/prd.12041. Emami E, *Kabawat M, Rompré P.H, Feine J.S. Linking evidence to treatment for denture stomatitis: a meta-analysis of randomized controlled trials. Journal of Dentistry. 2014 Feb;42(2):99-106. *Kabawat M, de Souza RF, Badaró M, de Koninck L, Barbeau J, Rompré P, Emami E. Phase-I clinical trial on the effect of palatal brushing on denture stomatitis. International Journal of Prosthodontics. 2014 Jul-Aug;27(4):311-9. doi: 10.11607/ijp.3844. Emami E, Wootton J, Galarneau C, Bedos C. Oral health and access to dental care: a qualitative exploration in rural Quebec. Canadian Journal of Rural Medicine. 2014 Spring;19(2):63-70. De Souza RF, *Ahmadi M, Ribeiro AB, Emami E. Focusing on outcomes and methods in removable prosthodontics trials: a systematic review. Clinical Oral Implants Research. 2013 Sep 8. doi: 10.1111/clr.12254. [Epub ahead of print]. Emami E, Thomason J. M. In individuals with complete tooth loss, the mandibular implant-retained overdenture increases patient satisfaction and oral health-related quality of life compared to conventional dentures. The Journal of Evidence-Based Dental Practice. 2013 Sep; 13(3):94-96. *Ahmadi M, Lamarche C, De Grandmont P, Gauthier G, De Koninck L, Emami E. Development of evidence-based prosthodontic record: an action research study. International Journal Prosthodontics. 2013 Jul-Aug;26(4):359-64. doi: 10.11607/ijp.3397. Emami E, De Souza RF, *Kabawat M, Feine JS. The impact of edentulism on oral and general health. International Journal of Dentistry. 2013:498305. doi: 10.1155/2013/498305. Epub 2013 May 8. *Michaud PL, de Grandmont P, Feine J, Emami E. Measuring patient-based outcomes: Is treatment satisfaction associated with oral health-related quality of life? Journal of Dentistry. 2012 Aug; 40(8):624-31. Epub 2012 Apr 20. Emami E, St-Georges A, De Grandmont P. Two-unit cantilevered resin-bonded fixed partial denture as a substitute for a Prosthodontic-Orthodontic Treatment Plan: A 5-year Case Report. J Can Dent Assoc. 2012 Jun; 78:c67. Emami E, Lavigne G, De Grandmont P, Rompre PH, Feine JS. Perceived sleep quality among edentulous elders. Gerodontology. 2012;29(2):e128-34. Emami E, *Taraf H, De Grandmont P, Gauthier G, De Koninck L, Lamarche C, De Souza RF. The association of denture stomatitis and removable partial prosthesis: A systematic review. International Journal of Prosthodontics. 2011; 25 (2): 113-119. Emami E. In individuals with loss of molar support, the treatment based on shortened dental arch concept may not decrease the risk of tooth loss compared to molar replacement with removable partial prosthesis. The Journal of Evidence-Based Dental Practice. 2011;11(2):99-101. *Jabbour Z, Emami E, De Grandmont P, Rompre PH, Feine JS. Is oral health-related quality stable following rehabilitation with mandibular two-implant overdentures. Clinical Oral Implants Research. 2011; 23 (10):1205-1209. Emami E, Allison PJ, de Grandmont P, Rompre PH, Feine JS. Better oral health related quality of life: Type of prosthesis or psychological robustness? The Journal of Dentistry. 2010; 38(3): 232-6. Emami E, Feine JS. Resin-bonded cantilever partial dentures are effective in terms of patient satisfaction in the restoration of the mandibular shortened dental arch. The Journal of Evidence-Based Dental Practice. 2010; 10(1): 64-6. Pan S, Dagenais M, Thomason JM, Awad M, Emami E, Kimoto S, Wollin SD, Feine JS. Does mandibular edentulous bone height affect prosthetic treatment success? The Journal of Dentistry. 2010; 38(11): 899-907. Emami E, Heydecke G, Rompre PH, de Grandmont P, Feine JS. Impact of implant support for mandibular dentures on satisfaction, oral and general health-related quality of life: A meta-analysis of randomized-controlled trials. Clinical Oral Implants Research. 2009; 20(6): 533-44. Emami E, de Grandmont P, Feine JS. Research approaches in prosthodontics. European Journal of Prosthodontics and Restorative Dentistry. 2008; 16(4): 185-9. Emami E, de Grandmont P, Rompre PH, Barbeau J, Pan S, Feine JS. Favoring trauma as an etiological factor in denture stomatitis. The Journal of Dental Research. 2008; 87(5): 440-4. Emami E, Feine JS. Focusing on oral health for the Canadian rural population. The Canadian Journal Rural Medicine. 2008; 13(1): 36-8. *Lai B, *Lebuis A, Emami E, Feine JS. New technologies in health care. Part 2: A legal and professional dilemma. The Journal of the Canadian Dental Association. 2008; 74(7): 637-40. *Lebuis A, *Lai B, Emami E, Feine JS. New technologies in health care. Part 1: A moral and ethical predicament. The Journal of the Canadian Dental Association 2008; 74(7): 631-5. Emami E, Seguin J, Rompre PH, de Koninck L, De Grandmont P, Barbeau J. The relationship of myceliated colonies of candida albicans with denture stomatitis: An in vivo/in vitro study. The International Journal of Prosthodontics. 2007; 20(5): 514-20. *Mok J, Emami E, Kobayashi T, Feine JS. An oral hygiene brochure for your implant overdenture patients. The Journal of the Canadian Dental Association. 2007; 73(8): 713. Emami E, Booij L, *Tikhonova S, Ismaylova E. Modelling the Interaction Of Multidimensional Risk Factors In Caries Disparity: NCOHR Team Building Workshop; Final Report. Legal Deposit-Library and Archives Canada, 2015. Emami E. Promotion of dental practice in rural areas through the process of knowledge transfer. Workshop summary report 2013. Dépôt légal-Bibliothèque et Archives nationales du Québec, 2016. Rapports sur la disparité: Les soins buccodentaires en milieu rural Examen de la documentation: Documents préparé pour l’atelier sur la disparité en matière des soins de santé buccodentaire, Faculté de médecine dentaire, McGill University, 2009-2010. Emami E & Feine J. (2018). Mandibular Implant prostheses for Geriatric Populations. Cham, Switzerland, Springer International Publishing AG. Emami E & Michaud P.L. (2018) Chapter 8: Fixed and Removable restorations. In Mandibular Implant prostheses for Geriatric Populations. Cham, Switzerland, Springer International Publishing AG. Emami E. Chapter 14: Health and retirement issues. In Career Paths in Oral Health. Switzerland, Springer International Publishing, In press. Cerutti-Kopplin D, Emami, E et al. (2018). Chapter 21 (Part IV) : Predictors of Satisfaction with Dentur in a Cohort of Individuals Wearing Old Dentur : Functional Quality or Patient-Reported Measures ? In Journal of Prosthodontics on Complete and Removable Dentures. Wiley Blackwell. Emami E (2010). General Health and Oral Health Related Quality of Life: A study of an elderly edentulous population wearing either mandibular two-implant overdentures or conventional dentures. Saarbrüken, DE, Lambert Academic Publishing.